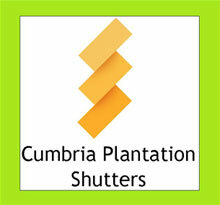 In these terms and conditions ‘the Company’ shall mean Cumbria Plantation Shutters and “the customer” shall means the person, firm or company placing an order for goods or services. 1. The terms and conditions set out below shall apply without variation to every contract entered into by the Company for the sale of goods unless the Company thereto expressly agrees a variation to them in writing. These terms and conditions shall apply notwithstanding any inconsistency between them and the terms and conditions of any form of contract sent by the customer to the company. 2. The Company will make every endeavour to adhere to any delivery date specified in the contract but does not guarantee that any goods will be delivered by such date and the Company shall not be liable for any loss or damage of any kind and howsoever arising by reason of any reason or of any failure on the part of the Company to deliver on such stated date. 3. (a) The price of the goods unless otherwise agreed is as stated in the acknowledgement of the order. (b) The customer shall pay to the Company reasonable storage charges for any period subsequent to the date of the delivery during which the customer fails or neglects for whatever reason to take delivery of the goods. (c) The Customer shall pay to the Company a sum equivalent to 50% of the value of the order (the deposit) within 7 days of placing such order. The balance due on all goods ordered shall, unless agreed in writing, be paid for not later than 14 days after delivery of goods. (d) If for any reason payment of the price of the goods or any instalment therefore is not made by the date it is due then the customer shall be liable to pay interest on the amount unpaid at the rate of 1.5% per month from the due date until payment is received by the Company. (e) In addition to the price for the goods the customer shall also pay the Company in respect thereof Value Added Tax at the rate appropriate at the date of the invoice. 4. (a) Without prejudice to the subsequent provisions of this Clause no warranty conditions or representation express or implied as to description condition quality or suitability of any goods hereby sold (whether collateral to the contract or otherwise) is given by the Company or deemed to be or have been given or implied and any statutory or other warranty condition or representation whether express or implied and whether collateral to the contract or otherwise is hereby excluded and extinguished. (b) The Company accept no liability whatsoever for any loss or damage whether consequential or direct and whether suffered by or occasioned to the customer the employees or agents of any customer or third parties which may arise after delivery of the goods. (c) The Company at its absolute discretion may put right, furnish a replacement or accept return of any goods which under proper usage proves unserviceable owing to defective workmanship therein within 7 working days after delivery of the goods provided that the defect is reported to the Company in writing immediately it is discovered by the customer. Where the Company adopts to accept return of the goods the Company will refund the purchase price in full upon the safe receipt of the goods and in good condition at its premises whereupon the customer shall have no further claim against the Company. (d) The company would strongly recommend that all goods be checked upon receipt and signed for ‘as damaged’ where possibly. We must be notified in writing by 12 noon the day following receipt. All notification of damage within the time limit will be repaired/replaced at the Company’s expense. Outside this time limit however we are unable to accept responsibility for goods damaged. (e) The seller cannot guarantee precise colour matching against samples. The products are made from a natural material. Minor imperfections not readily apparent at a distance of four feet under ordinary light will not be accepted as defects. Colour matching of finishing products (eg paints and stains) cannot be guaranteed although every reasonable effort will be made to ensure the accuracy of the finished product. (f) The seller cannot guarantee the goods against fading especially as a result of exposure to sunlight where some fading will occur. The goods are not guaranteed against extreme damp or variable conditions. (g) The seller reserves the right to withdraw any products and colours at any time including after accepting an order without prior notice and cannot be held responsible for any consequences caused by the withdrawal of such products. (h) The seller gives no warranty as to the fitness of the product supplied for any purpose other than that of an internal window dressing. Other installation positions and uses are undertaken at the risk of the buyer. (i) Tolerance levels of overall panel specifications are plus or minus 2mm, and the product will not be considered defective if falling within the size range. Warp on any component part, vertical or horizontal, shall not exceed 1mm per 300mm and shall not be considered defective if within this tolerance. (j) It is recommended that panels be ordered within the seller’s normal specification range. For example, panels above 1800mm in height are ordered with a divider rail, and that single panel widths do not exceed 890mm for wood panels and 750mm for MDF, double hung panels shall not exceed 550mm. The maximum panel length shall not exceed 3000mm. The seller may exceed the limitation at the buyer’s request, but in doing so the seller cannot accept responsibility for problems that result. (k) If the buyer chooses to install against the seller’s recommendation the seller accepts no liability for the installation or the goods and any guarantee or warranty is thereby invalidated. (l) Where the order is based on measurements supplied by the buyer the seller cannot accept the return of the goods or any claim for compensation by reason only of the measurements given being incorrect. (m) Where tracking is used the buyer accepts that there is a gap of not more than 20mm at the bottom of the shutter and the floor or sill due to the Jam Bracket that is used. There is also a small light gap between the top of the panel and the facia plate. and may need adjustment to fit the openings. (o) The buyer accepts that the sellers products are custom made from wood or compounds of wood and may have slight imperfections such as grain, indentations or slight marks from the manufacturing process and that these maybe be filled. This is normal practice with wood products. A flaw or visual fault is not deemed a manufacturing defect if it cannot be seen from 1.4M distance with normal eye sight. 5. The goods and the parts therefore shall from delivery be at the risk of the customer who shall insure the goods for the period from the date of delivery until the passing of the property in the goods to the customer against any loss or damage thereto or any part thereof. 6. The property in the goods shall not pass to the customer whether or not it has taken delivery of the goods or any part there of until the customer shall pay the Company the whole of the sum due to the Company under the contract. 7. All details contained in the Company’s specifications catalogues brochures photographs descriptive materials and technical literature and advertisements have been carefully prepared to avoid errors but their accuracy is not guaranteed and the Company shall not be liable for any inaccuracies omissions. 8.Contracts with the seller shall in all respects to be constructed and operate as a contract made in England. The buyer and the seller hereby accept the exclusive jurisdiction of the English or European Courts in relation to any dispute which may arise out of or in connection with the contract for the goods supplied there under save that either party to the contract may refer any dispute there under to the tribunal of arbitration of the London Chamber of Commerce.